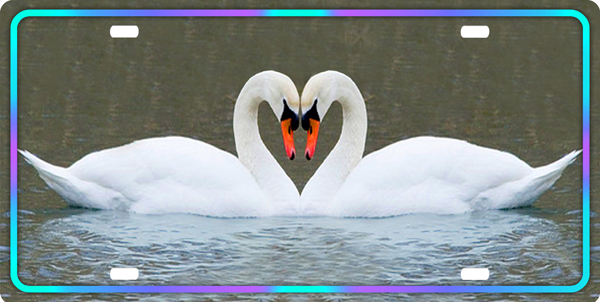 2 Swans forming a Heart License Plate . Awww..Show your love. This plate looks great the way it is, or you can add a name to it too.